Getting into online poker as a beginner can be daunting, and there’s a lot to think about. Here are some online poker tips directed at beginners who want to improve their game while learning about the fun and lively world of online poker. Online poker is hard, and a lot of people won’t make any money from it. The people who do make money playing online poker are ones who love the game and dedicate their time to improving their skills. Only spend your time on poker if you genuinely love the game. That said, treat it like work. Don’t get distracted – if you find yourself picking up a magazine or scrolling through Twitter between hands, you’re missing out on stuff that could potentially improve your game. Also, consider creating a dedicated space in your home for playing poker, as well as carving out some set time every day or week to play. Your space should be comfortable and cheerful, ideally with a great monitor to save your eyes, and some natural light. It can be tempting to leap into the exciting world of online poker, but trying to do too much can be confusing and it can impede your learning. Here are some poker tips for beginners on keeping your game manageable. Firstly, keep the stakes low to start with. 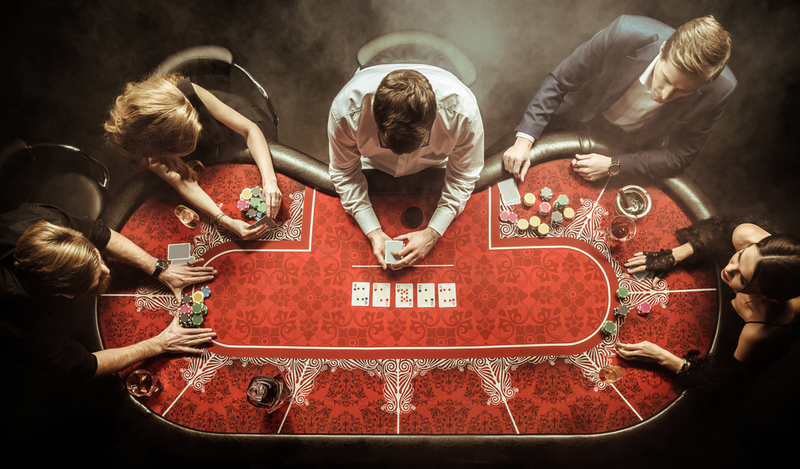 Chances are that you’ll lose money when you first start playing, and only participating in low-stakes games will help to relieve any stress associated with losing money – plus you can afford to play more games, and therefore improve your skills. The second thing to consider is that you should start out only playing one table at one. You’ll be able to manage more as you become an intermediate player, but for now focus all your efforts on playing a single table and learning as much as possible from each game. Have a good think about why you got into poker in the first place, and set yourself some goals based on that. Perhaps there’s a certain tournament you’d like to play in or an amount of money you’d like to make. Write down your goals, and create a realistic plan for achieving them. As you play, keep a record of what happened in each game; this will help you to find any trends in how you play, which in turn will alert you to any weaknesses or worrying aspects of your game. Most poker sites have a note-taking function that allows you to save your thoughts on other players – make use of this. Having written plans and records is a great way to keep focused on what you want to achieve. One of the biggest online poker tips that beginners should know is this: there is a huge community of poker players out there who can help you to improve your game. Search for poker forums where you can discuss the game with like-minded enthusiasts, or create a Skype group with your new poker buddies. If you’re really serious, consider working with a poker coach or mentor who can evaluate your game and help you pick out any weak spots. Basically, take any opportunity you can get to discuss poker with other players. It will also help you to read books and watch videos by other poker players, as well as reading online content and blogs. This will make you feel part of a community while also teaching you more about the game. You could be the world’s best poker player, and not be playing to your full potential due to hardware and software issues. Even as a beginner, it’s worth getting your setup right in order to build a strong foundation. In terms of hardware, there isn’t much you need to do. A good monitor is ideal, and a decent mouse to save you from wrist pain. Your computer shouldn’t be slow or laggy, as with all online games. Getting your software set up is a little more difficult. Try looking at free software like PokerStove or Universal Replayer, before moving onto paid software like Hold Em Manager which will give you all the stats and training tools you’ll need to succeed. If you take all these online poker tips into account as a beginner poker player, you can’t go far wrong. These handy hints and tips will help you not only improve your game but also meet new people and develop a winning attitude.